College-bound student-athletes first entering an NCAA Division I college or university on or after August 1, 2016, will need to meet new academic rules in order to receive athletics aid (scholarship), practice or compete during their first year. Below is a flyer from the NCAA outlining the changes. Earn a combined SAT or ACT score that matches your core-course GPA on a sliding scale. For example an 860 SAT score needs a 2.400 GPA for practice and aid and a 2.85 GPA for competition. The public release of the SAT/ACT PowerPrep Online Cloud Edition was March 1. eKnowledge is offering SAT and ACT test prep programs – valued at $200 each – free to students in NFHS member state associations. The SAT and ACT PowerPrep software is provided in a single DVD and includes more than 11 hours of video instruction and 40 hours of student participation time, 3,000 files of supplemental test prep material, thousands of interactive diagnostic tools, sample questions, practice tests and graphic teaching illustrations. Students select the training they need and can study at their own pace. The eKnowledge Sponsorship Partners Alliance has more than 70 athletes from the National Football League and Major League Baseball, as well as individuals from corporations, foundations and not-for-profit organizations. With the support of these individuals, eKnowledge is able to offer the $200 SAT and ACT PowerPrep software to schools in NFHS member state associations. 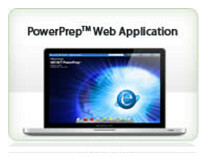 To date, nearly 1,500 NFHS families have ordered the PowerPrep Program. The SAT and ACT PowerPrep Program can be ordered online at www.eknowledge.com/NFHS or by phone at 951-256-4076 (reference NFHS).